For a Saudi and Mohammed bin Salman (MbS) update that's not directly related to the murder of journalist Jamal Khashoggi, a United Nations official on Sunday warned Yemen is now facing what could be "the worst famine in the world in 100 years" which is set to put "12-13 million innocent civilians at risk of starving," according to the BBC. 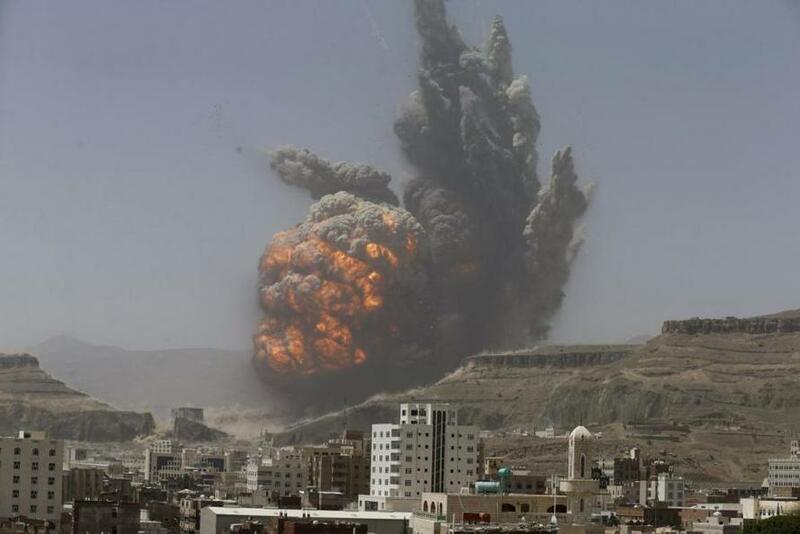 Yemen's war, which has involved intense Saudi-UAE-US coordinated airstrikes on civilian population centers going back to 2015 has been popularly dubbed "the forgotten war" due to its general absence from headlines and front page stories over the years. As a few analysts and war reporters have pointed out in recent days, it took the murder of one Washington Post contributor — who was one of the mainstream media's own — for MbS to actually face any level of scrutiny, and yet the tens of thousands killed under Saudi coalition bombs is still largely taboo for the same mainstream to touch. 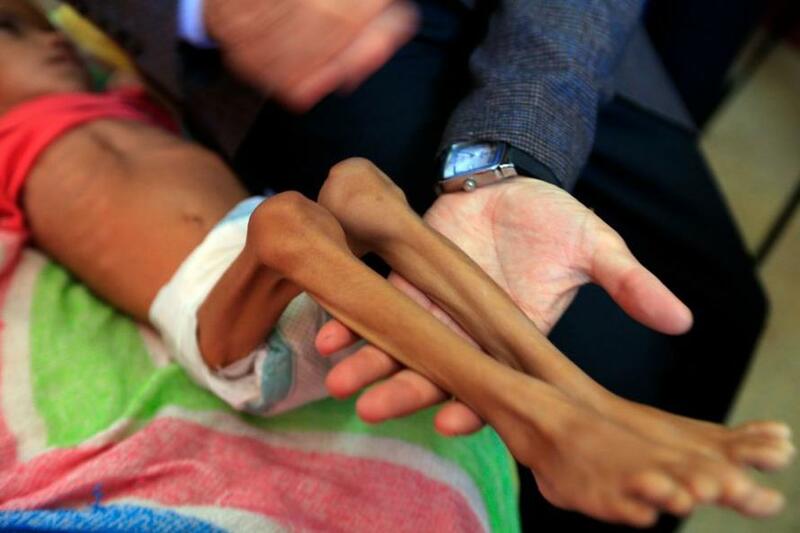 A top United Nations official who monitors Yemen, Lise Grande, told the BBC: "We predict that we could be looking at 12 to 13 million innocent civilians who are at risk of dying from the lack of food." She explained, "I think many of us felt as we went into the 21st century that is was unthinkable that we could see a famine like saw in Ethiopia, that we saw in Bengal, that we saw in parts of the Soviet Union, that was just unacceptable. Many of us had the confidence that that would never happen again and yet the reality is that in Yemen that is precisely what we are looking at." The U.N.’s Humanitarian Coordinator for Yemen further condemned a Saudi coalition airstrike on Sunday that killed at least 15 civilians near the port city of Hodeida. Grande said, "The United Nations agencies working in Yemen unequivocally condemn the attack on civilians and extend our deepest condolences to the families of the victims." The attack reportedly occurred on what's being described as a transport minibus in what is the third major air strike on a civilian bus since August. Pro-Houthi rebel media said that five members of the same family were killed in the vehicle, and added that a number of the casualties were women and children. Meanwhile a prominent humanitarian group working in the region, The Norwegian Refugee Council, has called such attacks tragically "routine" in a statement: "Attacks that kill and maim civilians are no longer an anomaly in Yemen’s war," the group said. "The drumbeat of assaults on men, women and children is one that has become appallingly routine," it added. Estimates have put the civilian death toll in the war anywhere ranging from 10,000 to as high as 70,000 — a number difficult to come by as the Saudi coalition has blockaded the countries main humanitarian aid entry port of Hodeida. The U.N. most recent numbers puts the number of displaced at approaching 500,000 people. As what the U.N. is now calling the "world's worst famine in 100 years" is set to make Yemenis' misery even worse, we wonder if the mainstream will actually give it coverage for a change. But we won't hold our breath as this humanitarian disaster can't be blamed on Putin or Assad.